I'm not really a ghosts and demons kind of girl so thinking of something for the Supernatural theme proved really hard for me. It's warm spring time here, and I really want to wear light pastel colours. 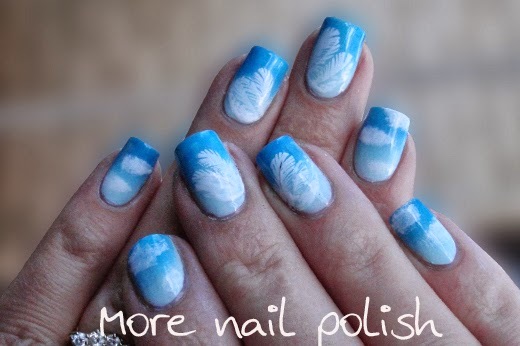 My nails for Supernatural day are some very abstract angel wings. 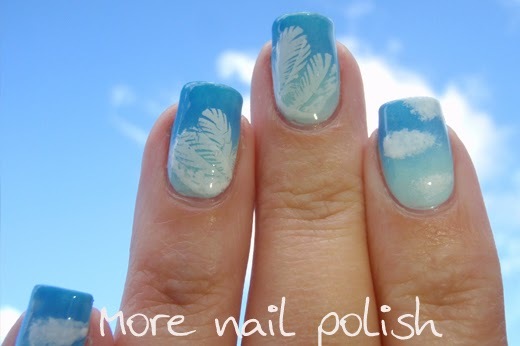 I painted a gradient using Picture Polish Sky and OPI No room for the blues. 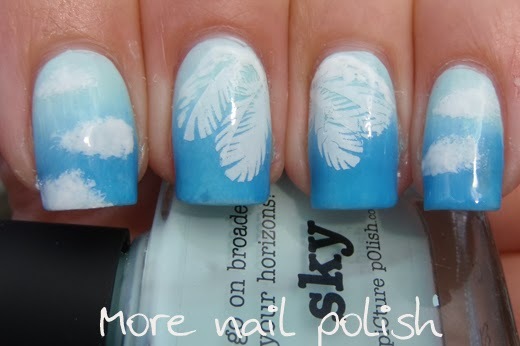 I sponged on some clouds with Ulat3 lily white and I used some feather water decals from the Born Pretty store. I supplemented the water decals with some extra lines made with white polish and a fine brush. The angel wings aren't quite the right shape - that's why I'm calling it abstract! 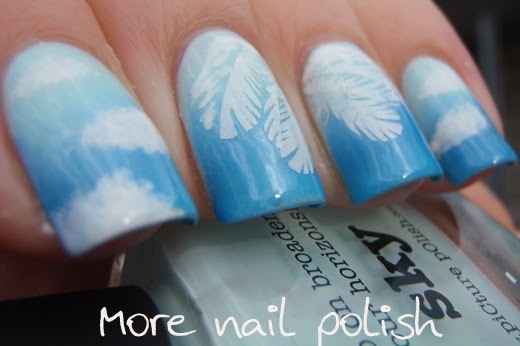 But using the water decals made the design quick and easy to create. I love this next shot with the sky and clouds in the background. The sky actually has a real life gradient just like my nails! I apologize for this last photo. I wanted my double hand shot but discovered I only took one photo. The lighting was awful and my hands look like a wrinkly 90 year old witches!! Arrgghh! 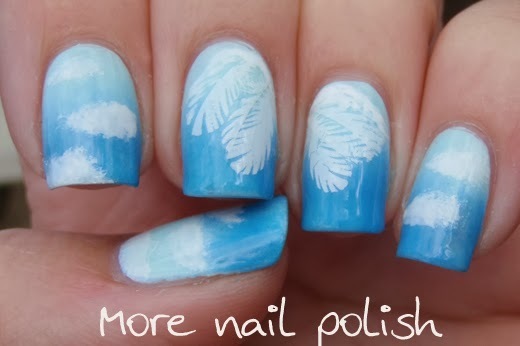 Now that is a beautiful mani. 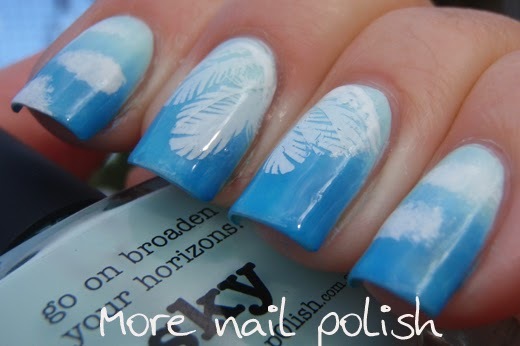 I love the feathers. It looks so angelic. As far as the last pic, that is how my pics look and I thought I had ugly hands but now I see it's just a matter of lighting. So I am glad you posted it because well, it's REAL.